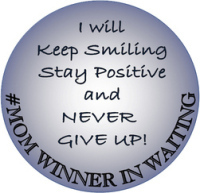 Double sided keyring featuring the #MOM Winner in Waiting badge. 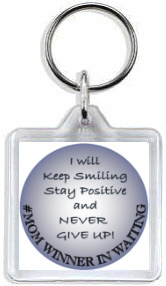 Remind yourself to keep trying & never give up at any time & anywhere! 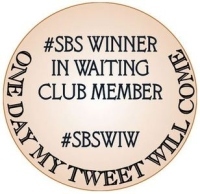 Don't forget you will receive £2.00 off an #MOM Winners cling when you do finally get that much sought-after retweet from Jacqueline Gold! !